“CAPHARNAUM” has several meanings, of which the one that seems most apposite is “monstrous” in the sense of ugliness or cruelty. The 2018 Cannes Film Festival jury, presided over by Cate Blanchett, thought Lebanese writer/director Nadine Labaki had made a film worthy of selection as the Festival’s best, an accolade second only to the Palme d’Or. And “Capharnaum” is a nominee for this year’s Best Foreign Language Film Oscar, for which its main competitor might be the Japanese “Shoplifters”, which examines a similar theme in a rather different environment. My hope is that “Capharnaum” carries the day on February 24. My feelings as I watched it were profound and quite discomfiting. I did not, but wished I could, weep at the heart-breaking plight of Zain, who knows nothing about himself in any sense that a bureaucratic search might confirm. He might be 12. We first see him in a Beirut court after being convicted for taking a knife to the landlord who, to offset unpaid rent, has bought his beloved 11-year-old sister Sahar who has just begun to menstruate, terrain incognita to either child. Zain is asking the court to punish his parents for giving him life. The middle of the 139-minute film tells us why. I felt anger toward a civilisation with such historical lineage that allows a child to grow up illiterate, his only wisdom being in survival. I felt deep sympathy at how Zain, when the young Ethiopian woman Rahil who has given him shelter in return for babysitting her daughter Yonas while she goes out looking for work, must, after she fails to come home, become a parent for Yonas whose previous food had all been from Rahil’s breast. The city is a capharnaum, crammed with beggars, criminals, paedophiles, cripples and worse. Street corners are piled with rubbish. Prisons are cages of hell on earth, unsanitary, devoid of hope. The police must do their tasks and so must the courts. 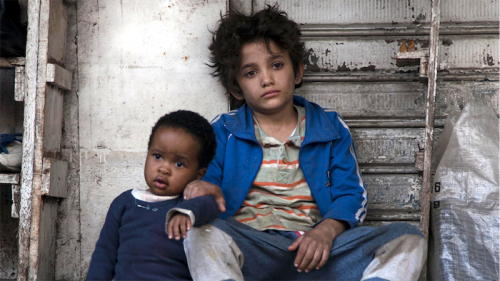 And yet, watching a cast of people who have never acted in any film, I watched “Capharnaum” with awe and respect for its uncompromising cinema craft, knowing that it was showing its dreadful reality to tell the world how things were, but did not, could not bring brightness to its people. Every society must conquer its own devils. Even ours.